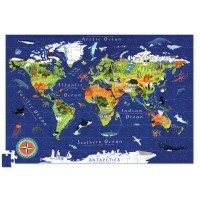 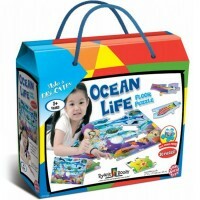 The award winning 100 pc puzzle by Eeboo introduces to kids world geography: oceans, continents, countries and more! 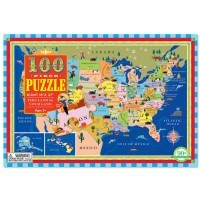 Let's go east and west, south and north around the world! 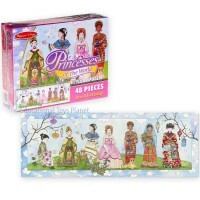 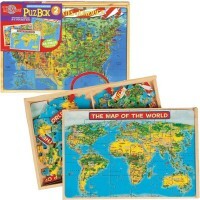 This trip will easily fit your play room with the World Map 100 pc Jigsaw Puzzle by Eeboo. 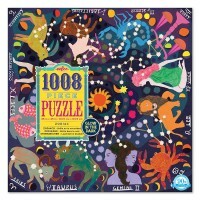 This 100 pc world geography puzzle presents continents, countries, oceans, and fun information. 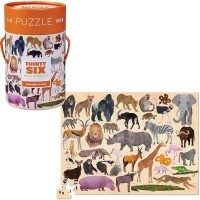 Learning geography is easy when you put this heavy duty cardboard puzzle together. 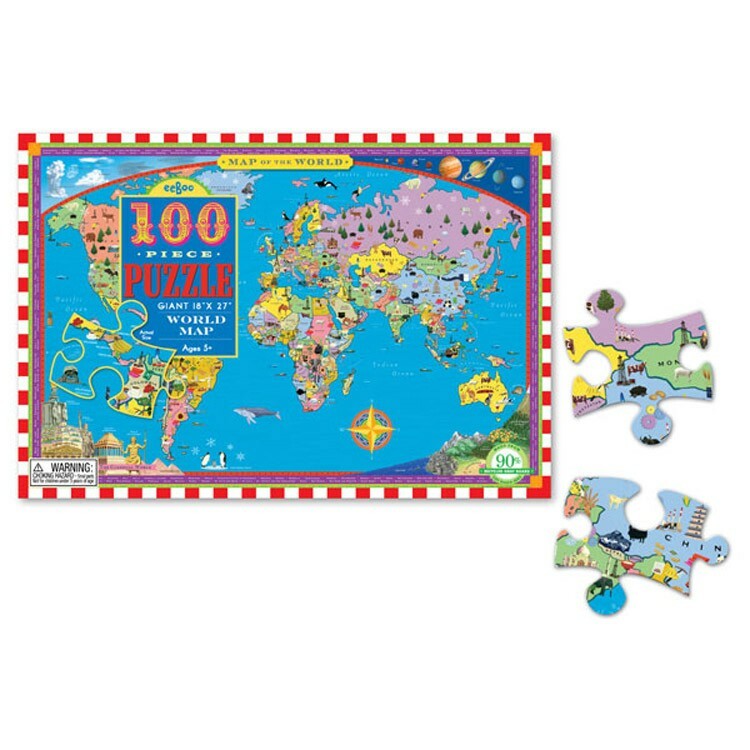 The world map jigsaw from Educational Toys Planet is made with 90% recycled cardboard and beautifully finished with soy-based ink. 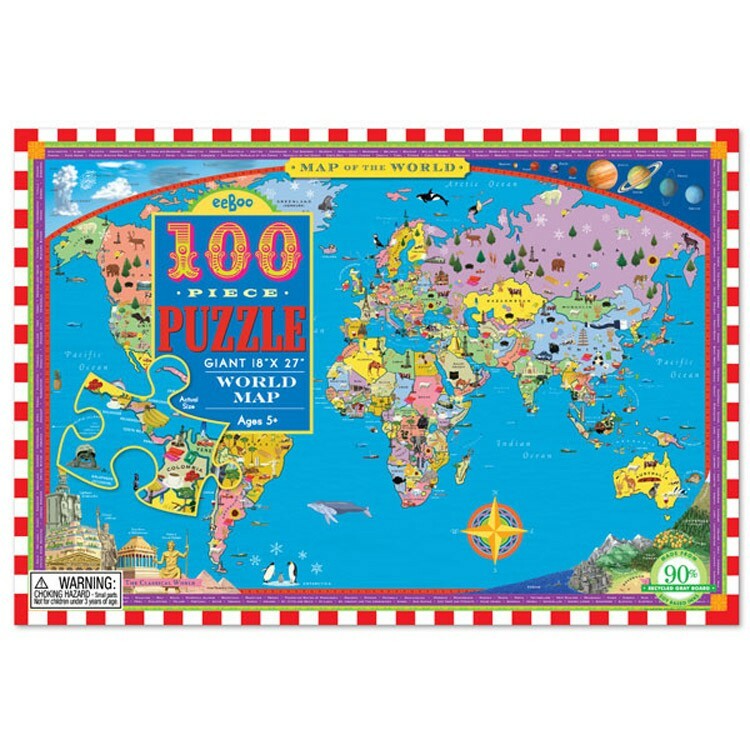 The finished World Map 100 pc Jigsaw Puzzle measures 18 x 27 inches. 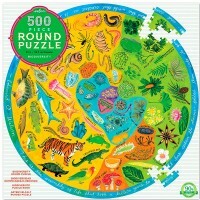 This Eeboo map puzzle comes with legend of icons. 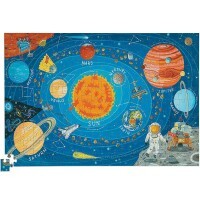 Dimensions of package 27" x 18" x 0.12"
Write your own review of World Map 100 pc Jigsaw Puzzle.